For Introduction to Soils or Fundamentals of Soil Science courses. Also for courses in Soil Fertility, Forest Soils, Soil Management, Land Resources, Earth Science, and Soil Geography. Developed for Introduction to Soils or Soil Science courses, The Nature and Properties of Soils, 14e can be used in courses such as Soil Fertility, Land Resources, Earth Science and Soil Geography. Now in its 14th edition, this text is designed to help make students study of soils a fascinating and intellectually satisfying experience. Written for both majors and non-majors, this text highlights the many interactions between the soil and other components of forest, range, agricultural, wetland and constructed ecosystems. 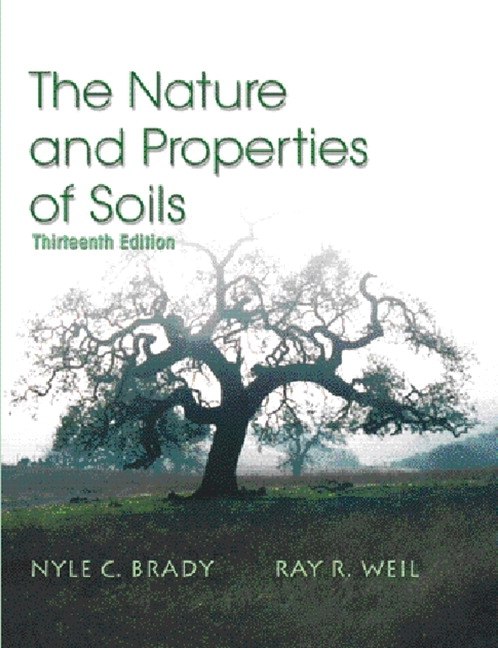 My "Science of Soils" class at Stanford University (Autumn '01) used "The Nature and Properties of Soils" as our main textbook. It is clearly written, easy to read, and has lots of helpful figures (including graphs, diagrams, drawings, and black-and-white and color photos). The chapters are well organized, so that you can find exactly what you need to know. The authors include hundreds of websites for those who want more information, and make the book more readable by starting off each chapter with a quote and a "big picture" statement. 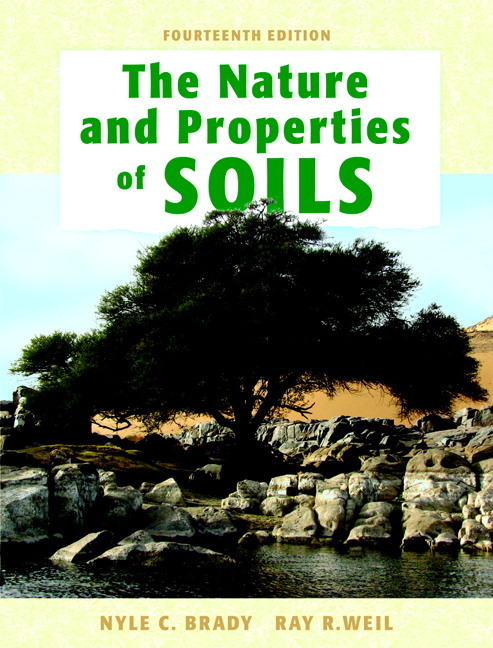 "The Nature and Properties of Soils" has a good mix of theoretical and practical information. Wherever possible, the authors do sample calculations and describe applications for agriculture, ecology, and engineering. They thoroughly cover every major topic in soil science, as well as delving into some more specialized ones (for example, symptoms of micronutrient deficiencies in plants). Questions are drawn from topics such as exosphere concept, sub aqueous soils, geography, soils and human health. New and expanded discussion of ORGANIC FARMING (Chapter 20) and expanded explanations of principles and practices relevant to organic agriculture (through out).